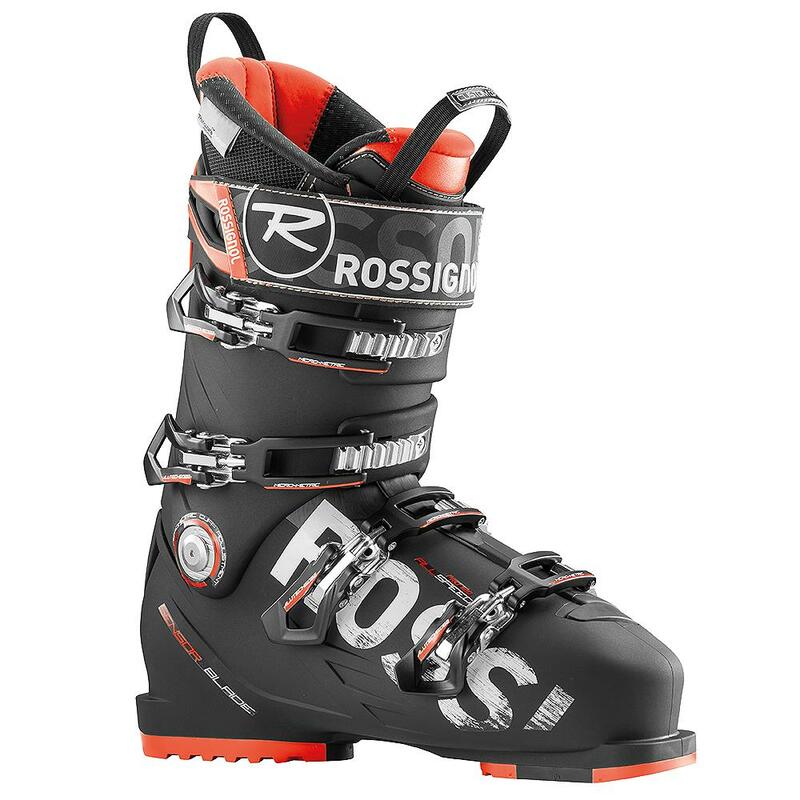 You ask a lot of your gear, and the Rossignol Allspeed Pro 120 Ski Boots have all the answers. The Sensor Blade design has excellent support without adding unnecessary weight, and the Easy Entry Insert will make it easier to head for the mountain at a moment's notice. Best of all, 3M Thinsulate™ insulation will keep your toes toasty on even the coldest days. "Do these Rossignol boots tend to run true to size, a bit smaller or larger?" "Rossignol Allspeed 120 Ski Boot does run true to size. We hope this information helps! " "Is this a 2018 boot"
"This boot is from the 2016-2017 Winter Season. " "What are the four black pins that come with my all speed120 boot used for?" "The 4 black pins that came with your Rossignol Allspeed Pro 120 Ski Boot are for the Flex Adjustment feature. On the back of the boot there is a simple rear spine screw adjustment. Replace the existing pins to allow a for larger flex range for power, performance, and comfort. Hope this information helps!" "How do you adjust the flex? Which position representa which flex? " "The Flex Adjustment system allows you to tune the flex to match the conditions. This feature offers the the possibility of up to three bolts on the back of the boot. With all three bolts the flex will be 130, with two in it's 120, with one bolt it's 110 and with all three out the flex will be 100. Hope this information helps!"